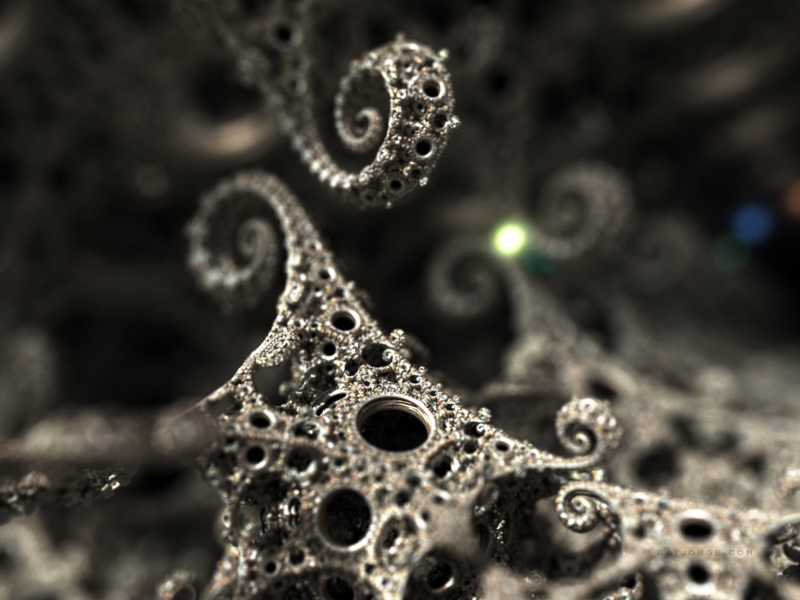 JosLeys-Kleinian formula with Monte Carlo illumination produced with Mandelbulber2 2.16. OpenCl GPU. Original image was done at 6400×4800 and took around 9 hrs to complete.